Marta Cehelsky was named Executive Director of Universities Research Association (URA) in April 2011, having served as Vice President of the organization from 2008. URA, a consortium of 90 leading research universities, was founded to build and operate unique research facilities in the national interest. As Executive Director and Chief Operating Officer, in coordination with the URA Board of Trustees, Dr. Cehelsky provides leadership in the strategic planning, governance, and administration of the organization, and corporate relations with Federal government, industry, and general public. URA’s primary responsibility for more than 50 years has been the management and operation, recently in partnership with the University of Chicago through the Fermi Research Alliance, LLC (FRA), of the Department on Energy’s Fermi National Accelerator Laboratory. Dr. Cehelsky is a member of the FRA Board of Directors and chairs its Committee on Operations and Finance. Through a National Science Foundation (NSF) award, URA provides US support for the operation of the Pierre Auger (cosmic ray) Observatory in Argentina. As part of a Honeywell-led team under the recently awarded contract for the management and operation of Sandia National Laboratories (NSL) by the DOE National Nuclear Security Administration (NNSA), URA is assuming an important new role in supporting and enhancing SNL scientific and educational activities. Prior to her appointment at URA, Dr. Cehelsky was Senior Adviser to the NSF Director and Executive Secretary of the National Science and Technology Council’s Committee on Science under the White House Office of Science and Technology Policy. In 2002 she was appointed Senior Adviser for Science and Technology at the InterAmerican Development Bank (IDB), the largest provider of multilateral development assistance to Latin America and the Caribbean, providing leadership in the establishment of a new IDB Subdepartment for Science and Technology and spearheading a successful and ongoing initiative to strengthen the effectiveness of the Bank’s S&T activities. From 1992-2002, she was Executive Officer of the Presidentially appointed National Science Board, responsible for NSF policy and for advising the US President and Congress on national science and technology policy. On staff to Senator Ernest Hollings (D-SC) in 1983 and 1984, she served as special assistant for policy. As senior policy analyst at NASA from 1977 to 1980 Cehelsky represented NASA on the Presidential Task Force on Remote Sensing Policy. From 1974-1977 Dr. Cehelsky was on the faculty of the Political Science Department of Brooklyn College, City University of New York, a member of the Faculty Council, and chair of the college-wide Affirmative Action Committee on Women. 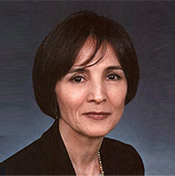 She led an initiative at the University of Houston on the political economy of the US-Mexican border, and was consultant to the City of Houston and Shell Oil, Inc.
Dr. Cehelsky holds a doctorate in comparative politics from Columbia University and is the author of numerous policy papers and technical reports. She is a fellow of the American Association for the Advancement of Science and is the recipient of numerous awards for her service in the Federal government.